The cameraman Doug Allan is a well known name in the world of wildlife documentaries and I help Doug with the stills side of his business. 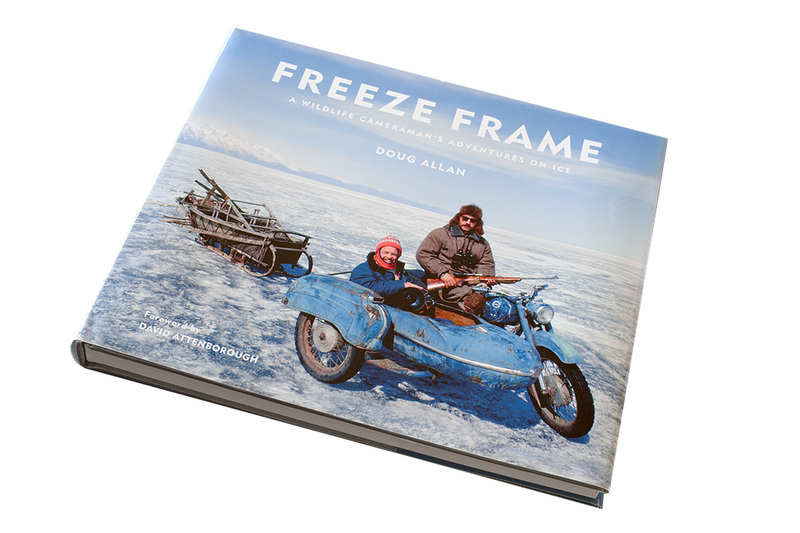 Doug asked me to get involved in the preparation of the images for his first book “Freeze Frame” that is just about to be released. Some of the images date back to the early part of his career so care was needed to reduce grain and get the images looking as fresh as the day they were taken, CMYK files were prepared for the books designer Simon Bishop. Simon has just let me know that the printing at Butler Tanner and Dennis in Somerset went well and he is very pleased with the results of the two days of printing on the new Heidelberg press there. Copyrightimage Ltd will also be handling book distribution so Jennie will be sorting on-line orders for the book. 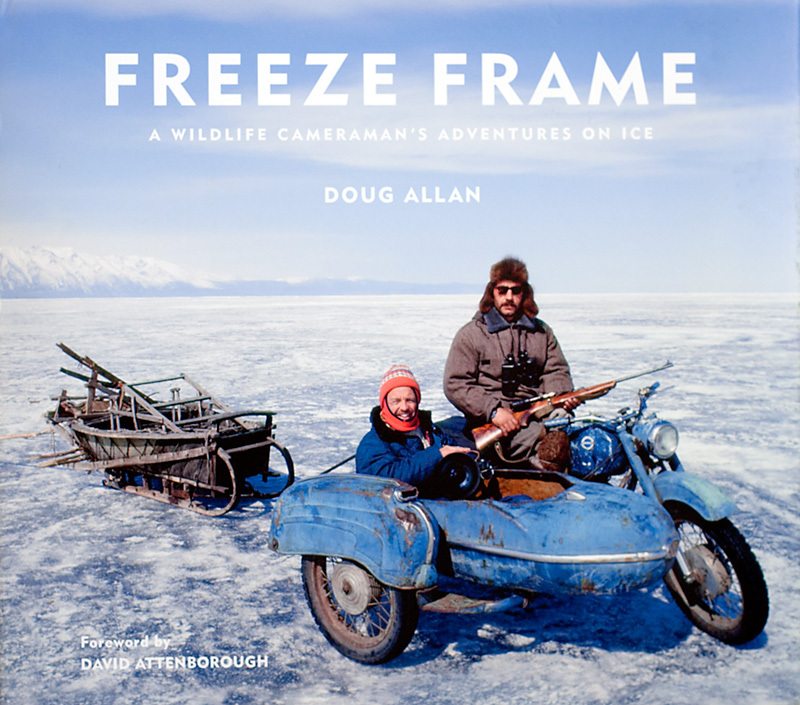 “Multi-award winning wildlife photographer and cameraman Doug Allan, of the BBC’s Frozen Planet now turns the focus on himself in his first book “Freeze Frame”! Having worked on Blue Planet, Planet Earth, Human Planet, Life, the recent Ocean Giants and the sensational Frozen Planet, Doug brings together a collection of astounding anecdotes and breathtakingly beautiful photographs from the remotest places on Earth. 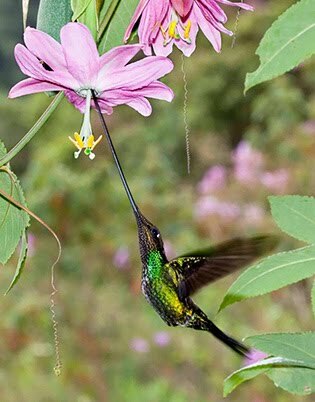 Have you ever been watching one of the BBC’s groundbreaking wildlife documentaries and thought “How did he get that shot? !” – well now you can find out the incredible stories behind the images in Doug Allan’s début book. Following a foreword from friend, Sir David Attenborough, the book is split into six sections; with many stories from Doug’s unique polar experiences and Arctic field craft, highlighting the challenges – and frustrations – of filming the animals themselves. From being pulled under water by a walrus, to the cunning and predatory Orca whale’s hunting skills. Doug invites you to learn about and discover the awe-inspiring nature hidden within the polar wastelands. Often exciting, sometimes humorous and always revealing and refreshingly honest, this is a uniquely personal portrait of the polar environments and the animals that live there, written by the man who’s spent more time there with a camera than anyone else. Doug has won four Emmy and four BAFTA awards, as well as several Wildscreen Pandas. With Freeze Frame Doug gives the public a chance to step into his frozen world – without the frostbite! Pay with either a credit card or your PayPal account. Your credit card will be debited by “TartanDragon” Ltd”. Buy now to ensure a copy of the first edition. Delighted to receive a book in the post this morning from Laurence Heyworth the managing director of Look and Learn. Laurence through his http://art.lookandlearn.com website runs one of the largest online children’s art competitions in the world. This is a sister site to the main http://www.lookandlearn.com site which mainly licenses images from classic children’s publications from the 1960s and 1970s. 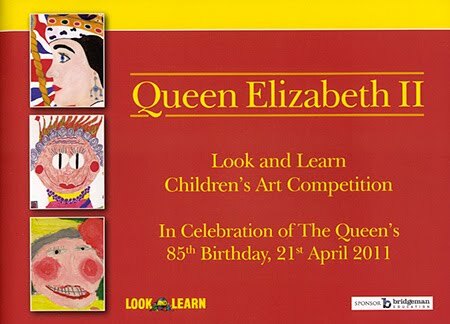 The book reproduces the winning images from a recent competition to create an image to celebrate the Queens 85th Birthday. Rather wonderfully Laurence has sent a digital photo frame containing all 14,928 entries from 64 countries to the Queen. All credit to Laurence for giving children encouragment to produce artwork and giving them a solid platform to display their work to the world. I helped develop imaging workflow at Look and Learn and have written custom Photoshop actions to make a variety of files from submitted work. It is the automation of file creation combined with tight network and web development by my colleague Edward Leigh that makes projects like this possible with minimal costs and effort compared to having to do things manually.